Multiple image picker for iOS app. 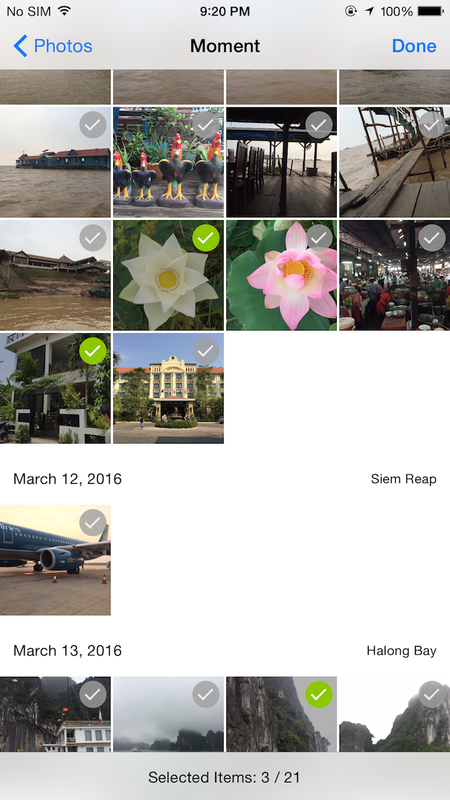 NohanaImagePicker enables your app to pick images from multiple album, and the moment. Add github "nohana/NohanaImagePicker" to your Cartfile. If you want to use Swift3.0, add github "nohana/NohanaImagePicker", "0.8.0" instead. If you want to use Swift2.3, add github "nohana/NohanaImagePicker", "0.6.1" instead. If you want to use Swift2.2, add github "nohana/NohanaImagePicker", "0.5.0" instead. This library is licensed under Apache License v2. Copyright (C) 2016 nohana, Inc. All rights reserved.